AnExpression Rule	allows a user to create a Defined Expression Entity	that can be used as a step for a flow with a Boolean outcome. 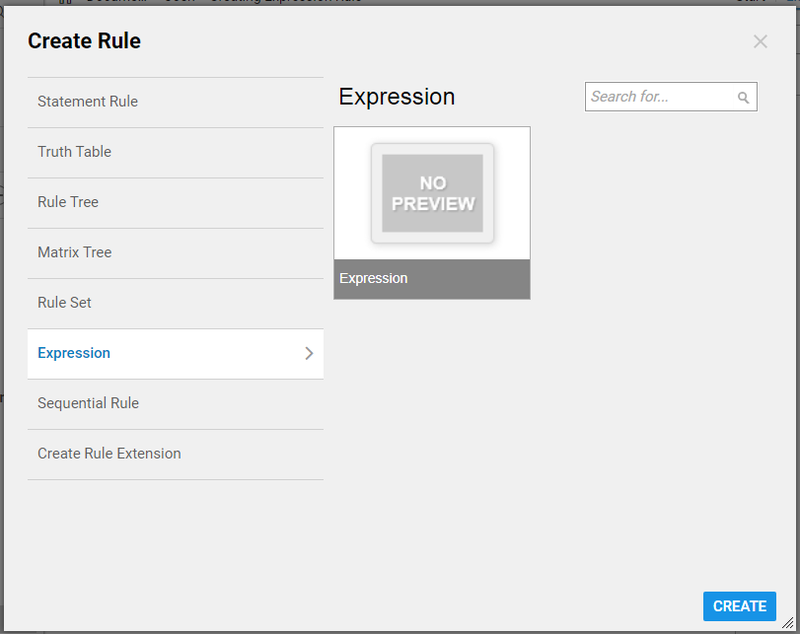 To create one, click on Create Rule	in the Designer Folder and pick Create Expression	sub menu. After the expression is created, you can locate it in the flow designer in the ToolBox under Integration > Expressions > [UserDefinedCategory] > [UserDefinedNameOfExpression]. In this Example we will create an Expression Rule	that will utilize a formula to calculate Vehicle&apos;s Breaking Distance	to the object. Next we will create a Flow that will ask a user for the Current Speed and Distance to the Stop Point. Next it will tell the user if this distance is enough for the Current Speed to Stop before the Desired Stop Point. We begin with navigating to the Designer Folder. Go toCreate Rule	>	Create Expression	. First we enter an Expression Name. This will be the name of our step in the Flow Designer	. In the Expression	window we enter our expression. The values in square braces are the variables. Next provide a Step Category	. This will be our defined sub category that can be found under the Expressions category. Click OK	to save and close this Create Expression window. Next, create a New Flow	. Name the Flow and click OK	to open up the flow designer. TheBreaking Distance Form	was designed for this example. 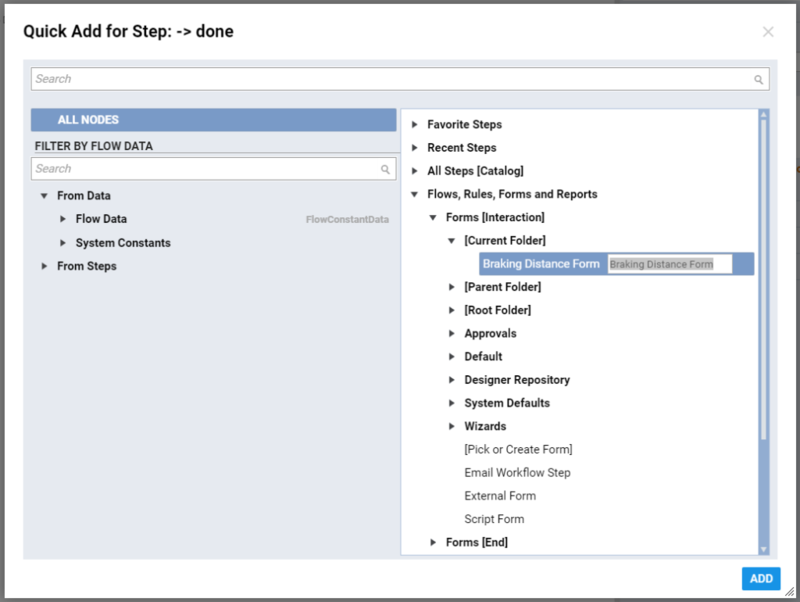 Locate this form in Flow Designer&apos;s Quick Add window under Flows, Rules, Forms and Reports > Forms[Interaction] > [Current Folder]	category. Select it and click Add	to add it to the workspace. It has a title Label	, an Action Button	to proceed the form and two Number Boxes	for a user to provide the values for distance and speed. Next, quick add the Expression Rule Step [Braking Distance]	under Integration > All Integrations > Expressions > Auto	category and add it to the workspace. 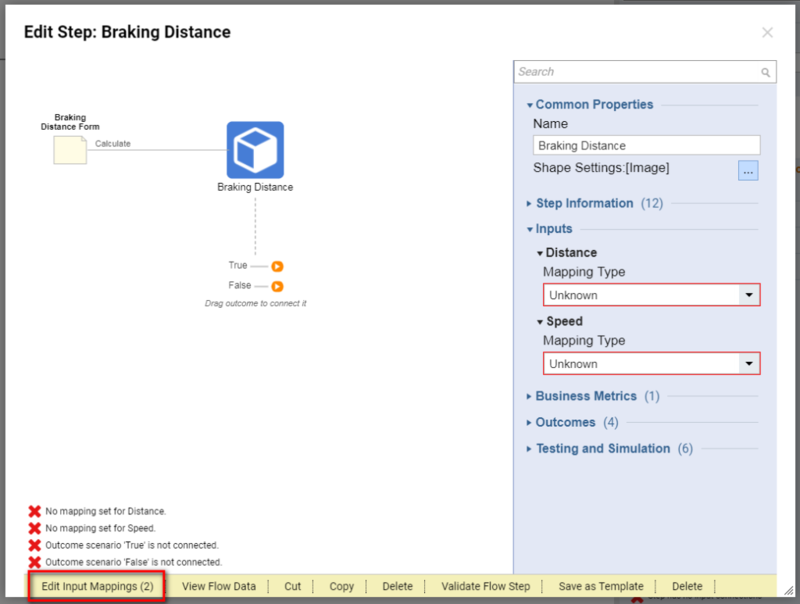 Select the Braking Distance	step and select Edit Input Mappings. 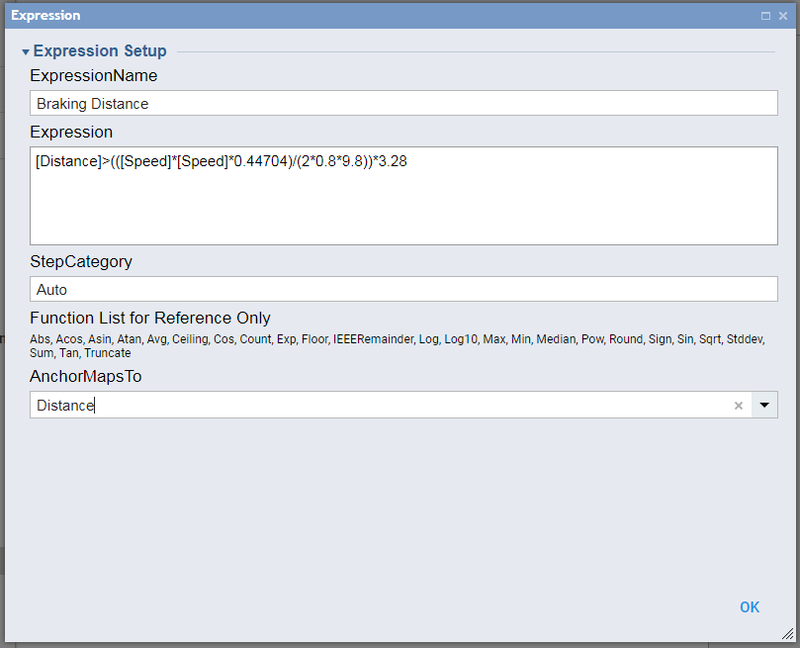 In the Mapping Editor	we map the inputs of Distance and Speed from the form to our expression. Next we click OK	to save and close Mapping Editor	. Drag into the workspace or create the Possible Wreck Form	that will be used to tell the user that it is dangerous and possible to wreck because the breaking distance is more than the distance to the desirable stop point. We connect this form to the False	outcome from our Expression Rule Step	. 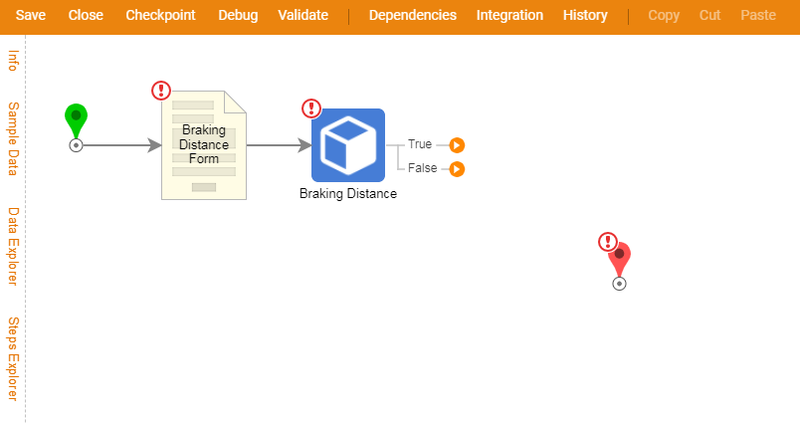 Next, we add our Successful Braking	Form	that informs a user that they will be able to successfully brake under the current speed and braking variables. We connect this form to the True	outcome and connect the other steps as displayed below. This completes our Flow. 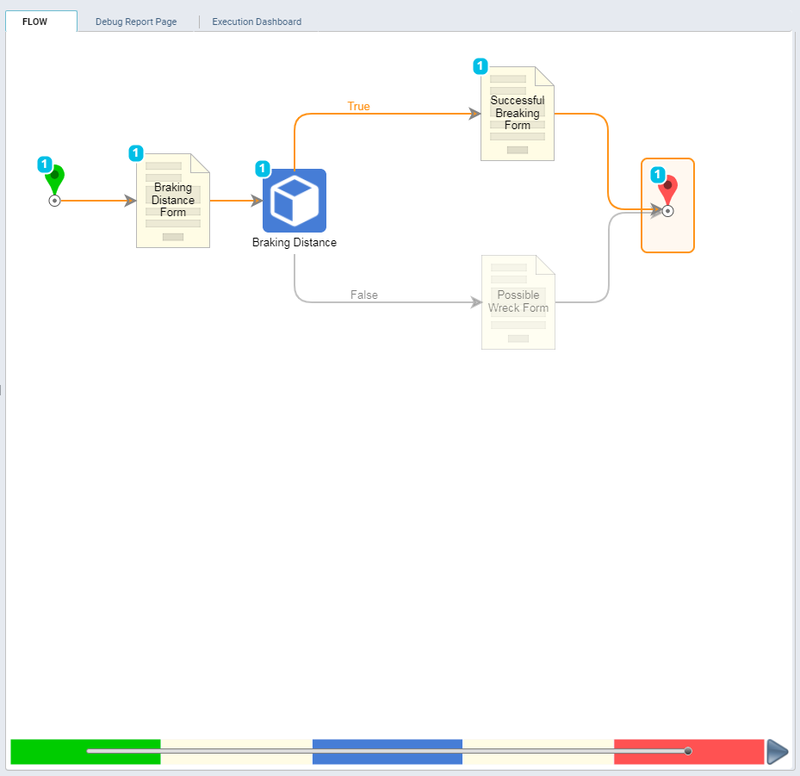 To test our flow we click the Debug Flow	link at the top panel of the Flow Designer	. Run the flow the first time with fairly close distance to the object input. 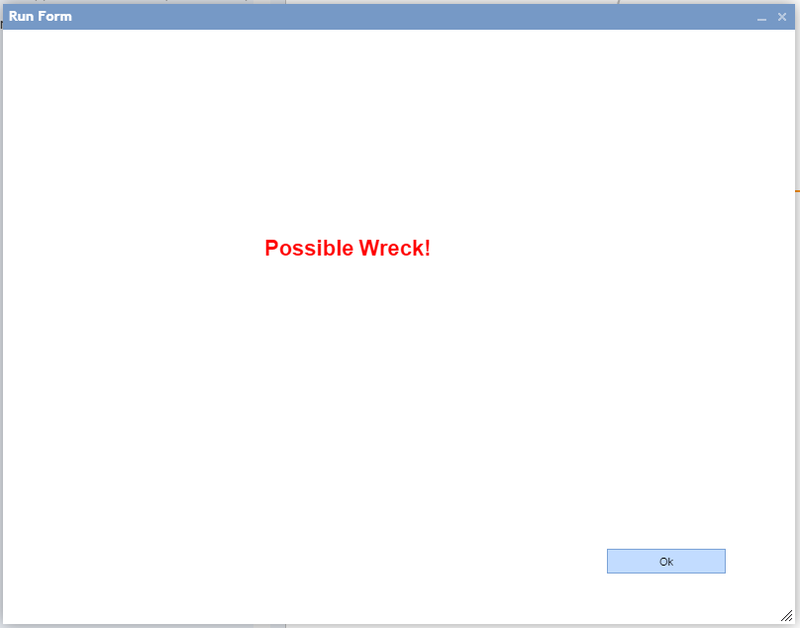 And we see that the Possible Wreck Form	informs us that it is possible to wreck. Run the flow a second time with the same speed but longer distance. 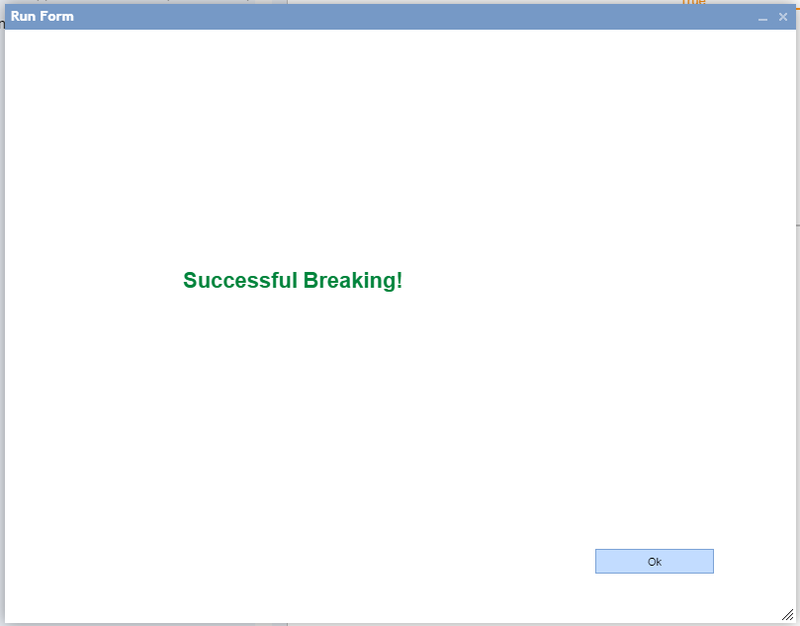 The Successful Breaking Form	appears as a result. After we click Done	we can see a diagram that shows us that our flow ran without any errors.